1. Spray a large skillet with non-stick and heat on low. Melt the rock candy and when there’s enough melted (a bit more than half), put the pork belly, skin side down, on the sugar. Allow the skin to get crispy. 2. Add soy sauce, 2 1/2 cups of water, ginger and scallions and bring to a boil. 3. Reduce to a simmer and cook for 25 minutes, uncovered. 4. 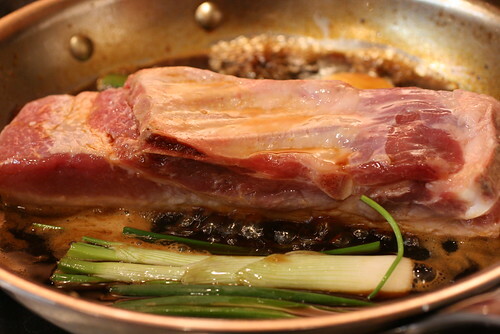 Turn the pork belly on its side and add remaining cup of water. Bring to a boil. Reduce to a simmer and continue for another 10 minutes. Turn onto the other side and cook for another 10 minutes. 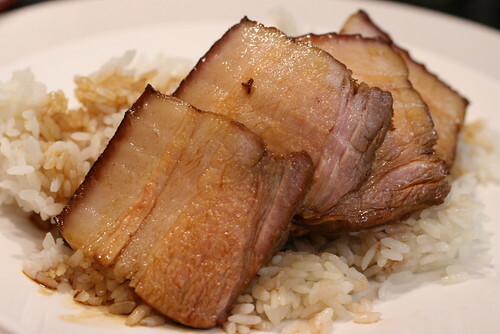 Now, you have Red Braised Pork Belly. 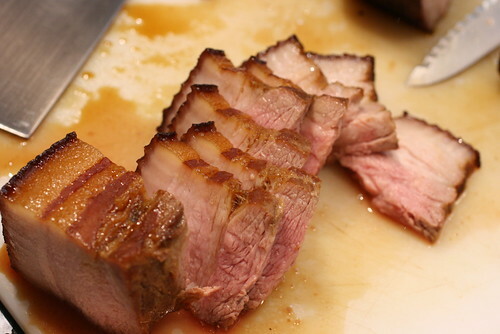 It’s so tender, so flavorful, so juicy, oh, yes, and fatty, but not in an oily way. What do you do with it? Sometimes, it’s served in 2-3 inch segments, sometimes it’s sliced. I decided on the latter, after first removing the bone on the bottom. You will have a lot of sauce. One option is to serve this meat over rice and drizzle some of this sauce. When Lon saw me making soba, he protested, assuming he wouldn’t like it. 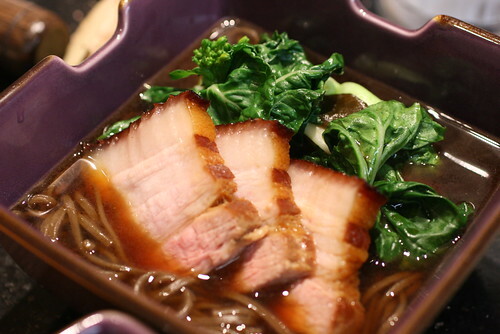 I asked him to trust me and when he tried it he loved it, pork belly, soba, soup, and all. posted by jessica	at 11:59 AM	Filed under Chinese, Recipes. You can follow any responses to this entry through the RSS 2.0 feed. Both comments and pings are currently closed. 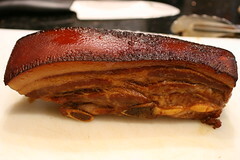 My wife (Dr. E.) and I love pork belly, and I believe that your particular version may be the best I have ever seen. Thank you for sharing it with us, as it will be on our menu in the near future. 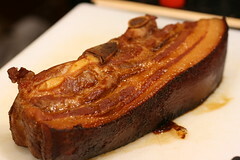 That pork belly is gorgeous! Oh, yes; heaven. Quick, easy, tasty, succulent. Some other recipes fuss about with the cooking of the belly, this one is right to the point. Thanks! PS: Don’t listen to government propaganda about saturated fats. 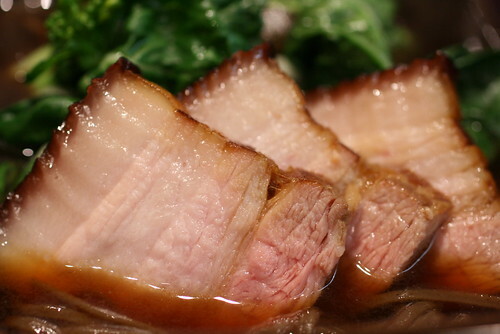 Pork fat is excellent for your health. Don’t believe me, visit http://www.westonaprice.org/ and read their take on animal fats. Cheers.